For years people have been distributing their content across the internet in hopes it will get in front of the right person, at the right time, and bring them more business. Before it was blog distribution it was article distribution, press release distribution, etc. It is even more commonly called content distribution. But what exactly is it? Blog distribution is sharing the links to your blog posts across the internet in places that it is most likely to find readers. Why do you need blog distribution? If you blog, you are usually waiting for search engines (google, bing) to come across your new blog posts, and include them in search results (what people see when they go looking for something on Google). This can take 5 minutes to 3 weeks to see results, and that’s only if you get included for a term or keyword that people search enough to be brought to your site, and assuming you rank on the first page. Basically, there is a lot left up to the search engines, if your blog will ever be seen by more than 1-5 people. For many of our new content distribution clients, most of their posts have had less than 10 views. 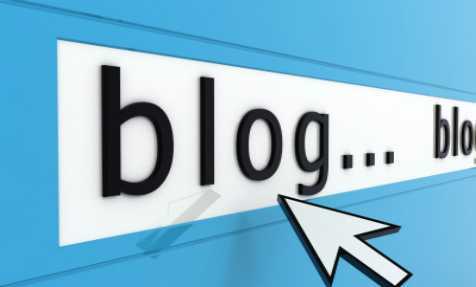 Blog distribution is free immediate traffic to your great content! So, you’ll want to use blog distribution to get views to your posts, otherwise writing all of that beautiful content might be a waste, or at the very least take several weeks to be found. How you can go about it? The Social Media Hat Mike Alton, has written one of the best blog posts I’ve read about this topic, where he listed several places to distribute your links, but before you run off to read it, let’s go over some basics, based on where you can distribute and the results you can expect. This is normally the first place I actively go to, to share my link. It has the potential to bring in dozens of views immediately, and seems to help with indexing your posts in search engines (though I can’t prove this). You’ll need an account and your life will be much easier if you download the stumbleupon extension (it becomes part of your browser so that you can easily submit links). Wherever you have it, hit the submit or thumbs up icon to submit your new blog post. If you aren’t active on stumbleupon you will get 1-10 visits at most. To work against this when you submit something, stumble a few times across other sites, submit interesting links you find, and like or dislike the sites you ‘stumble upon’. This makes the difference between 4 visits and 50+ visits. You must be active on each network, for it to provide results, just submitting will NOT work without regular activity!!! Mention the author, if at all possible. Use a related hashtag, even if others say not to, using hashtags means you are more likely to be included in paper.li and other summarized social media options, so others will mention you, and you’ll get more exposure. Twitter lets you leverage your network for traffic! This is a sidebar to Twitter, because both of these websites work with Twitter. I like Triberr more thanJustRetweet, but when I need something to be shared, I use all avenues possible, so JustRetweet helps. JustRetweet is another source of people who will share my content, meaning I reach more of the audience I want. That said, I have joined tribes on Triberr and I’ve started my own.When you sign up, you get to start looking for places to join, you can join as many as you want, but when you join you are a follower, where you get to tweet their posts. What you actually want to do is be a blogger under each Tribe so that they will tweet yours. There are forums to ask about tribes to join. How to make this work: use the wordpress plugin to be able to see other people’s posts in your dashboard, that way when you logon you can approve posts, because if you do not help others by approving their posts, they will stop posting your own. There is more to my blog distribution plans, but I don’t want to overwhelm you. Give these tips a try and see if it works for you. If you have any questions, email me or ask on Facebook (I respond faster there). If you are interested in having this done for your content, our prices are listed here. Now, go sign up for our email updates (to the right), because part 2 of this post is coming in the next few days and you’ll want to see it. It will include Facebook, Linkedin, and finding industry specific places to post on. ← Why Are There Fewer Likes on More Fanpages? Thanks, this helped a lot. I”m just starting to look into distributing blog content. I like your simple tips and I’ll be doing this now. I do find it overwhelming at times because there is so much out there!